Flooding and water damage can be devastating to any home, business, or establishment. These damages are often expensive and traumatizing. No need to worry, however. Get It Clean has the solution for all your water and flooding restoration needs! 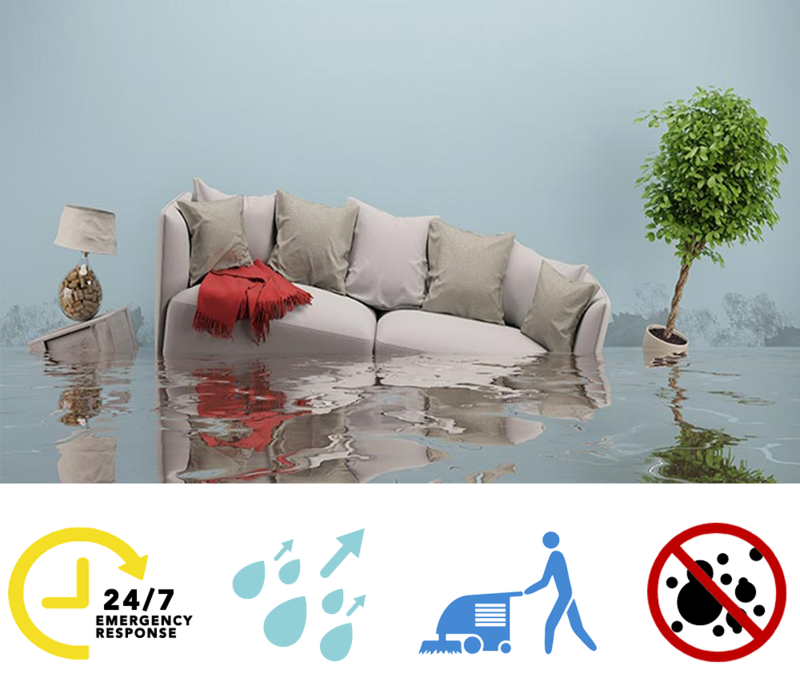 Using industry standard drying techniques, we can minimize the water damage and help you salvage you flooring like hardwood and carpets, furniture’s, building structure, and other belongings that could be damaged by high humidity. By quickly removing water and drying the flooring and the walls, we can also prevent mold growth and the spread of infectious diseases. We also use disinfectants to ensure that your property – house or business – will not become a health hazard. Get It Clean also works with your insurance company to help reduce the stress, while lowering the cost – making the process convenient for you, your family, and/or your tenants.